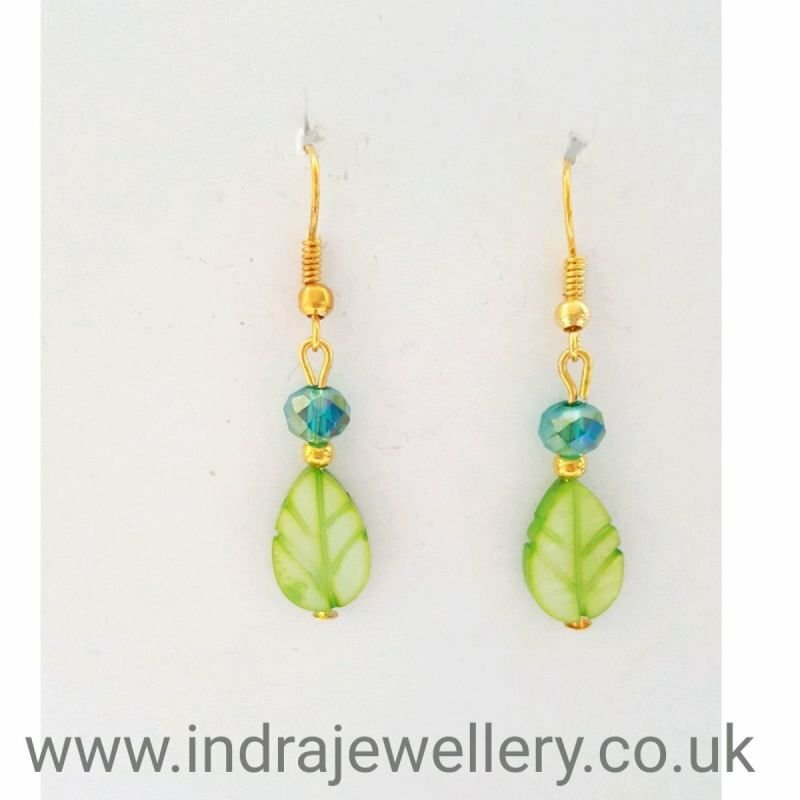 This is a stunning pair of leaf earrings! the leaves are a beautiful lime green colour which have been carved from mother of pearl to form these gorgeous leaves! I have added some very sparkly aqua swarovski beads and attached them to gold plated hooks which compliment these earrings beautifully.